The North American-based carmaker has recently released the all-new Grand Cherokee Trailhawk off-road SUV at the 2016 Los Angeles Auto, along with the all-new Compass model. On the other part of the world, the same Compass was also released at the 2016 Guangzhou Motor Show, as a China-only model. Now, we have more good news on the go, Jeep announcing a top of the line Trailhawk off-roader, soon to join the Compass lineup in the United States. Even if the model was somehow announced earlier this year, we still have little details concerning the model. But what we do know is that this particular version won`t lack the plethora of equipment designed for off-road capabilities, which is something that the present model is currently missing. We are looking here at a wide range of features at the exterior, designed to cope with off-road conditions, including new body trimmings with scratch-resistant plastic around the wheel arches and on the lower front and rear body sections, special tow hooks, as well as new alloy wheels wrapped in massive and high-performance tires. Once arriving on the market, the all-new Jeep Compass Trailhawk will stand on the same platform also underpinning the Renegade Trailhawk, with rather the same body dimension and specs as the standard Compass. Important characteristics that will separate it from the standard Compass refer to the aforementioned wider tires, advanced traction control system, low-range gearing, 29.1º approach angle and 33.1º departure angle. 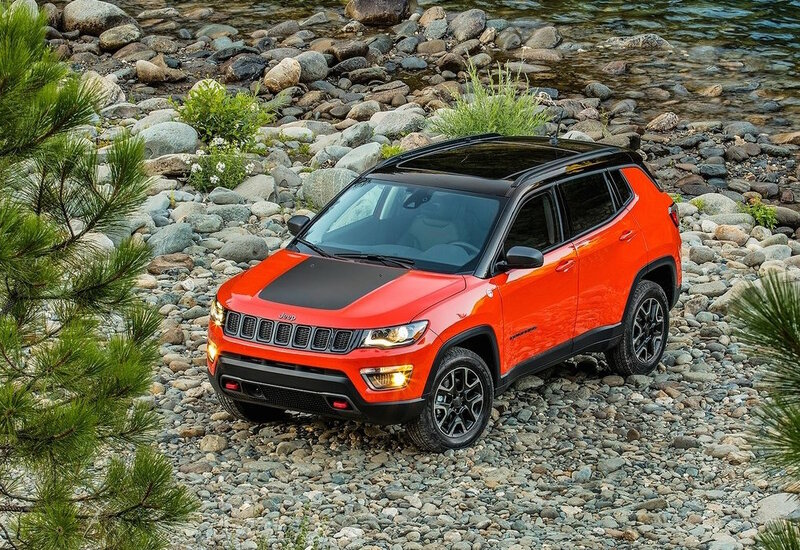 In the engine department, we should expect the same 2.4-liter flat-four engine, the same found on the Renegade Trailhawk, adding a 1.4-liter turbocharged gasoline mill, hooked to a nine-speed automatic transmission. We also expect some engines borrowed from Brazil`s-only 2.0-liter Hurricane turbo and 2.0-liter diesel, with 167 horsepower and 258 lb-ft of torque.